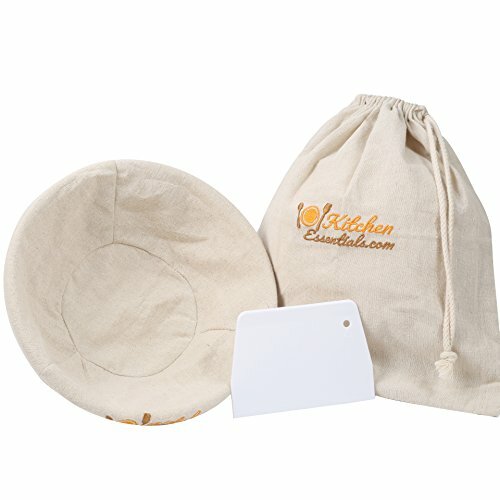 The banneton bread proofing basket 4-in-1 set consists of a round basket, basket liner, dough scraper and storage bag. 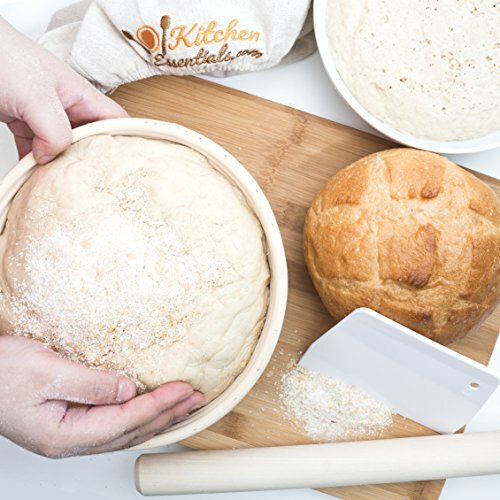 Whether you are a professional baker or home baker, you can use it to proof artisan bread at home such as Sourdough, Mediterranean bread, Rye bread, Pain Brioche and many others. 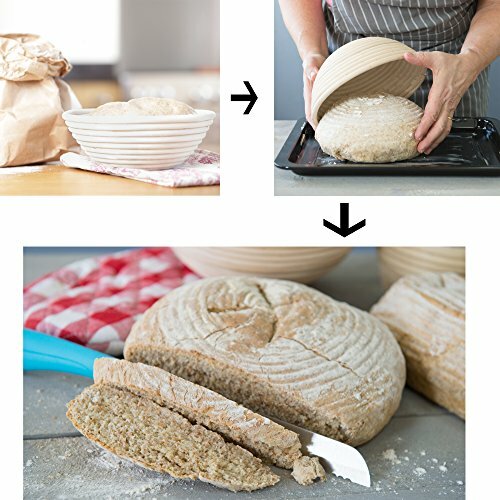 HOW TO USE AND MAINTAIN THE BANNETON BROTFORM PROOFING BASKET? 1. Before use, wipe the inside of the banneton with a dry cloth or brush to remove dust. 2. 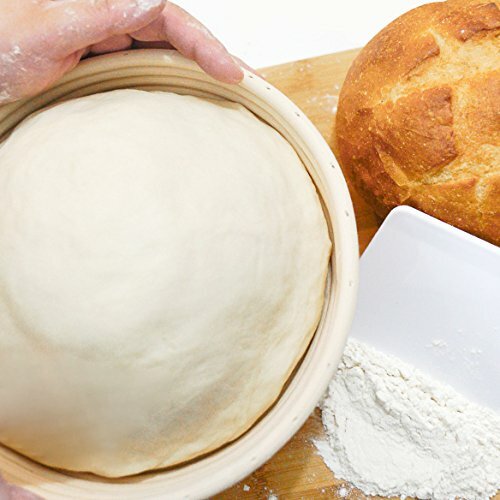 Coat the bare brotform bowl or liner thoroughly with flour to prevent the dough from sticking. 3. Sprinkle the surface of your shaped dough with flour too. 4. Place the dough in the bread proofing bowl and allow dough to proof. 5. Turn out the dough onto a baking tray gently but quickly. 6. Shake out excess flour from bread proofing bowl, and allow it to dry thoroughly on a wire rack or shelf. 7. It is not advisable to stack up brotform bowls as it may turn mouldy. Instead, store it in the bag provided. Note: You can choose to use the banetton bread proofing basket with or without the liner. DO I NEED TO WASH THE BANTUM BREAD PROOFING BASKET OR CAN I JUST BRUSH OFF THE FLOUR? Flour and moisture build up on the banneton bread basket over time may cause mould to appear. 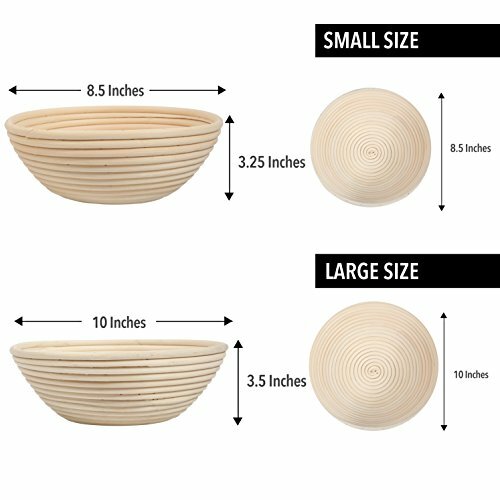 To wash it thoroughly, soak the brotform basket in tap water for approximately 10 minutes, and scrub with a brush in warm tap water before leaving to dry. Professional bakers wash their bannetons every 6 months to 1 year, depending on usage and how regularly they brush out the flour. For Home Bakers however, if usage is less frequent and flour is brushed off regularly after each use, it is not necessary to wash the benneton bread proofing basket. 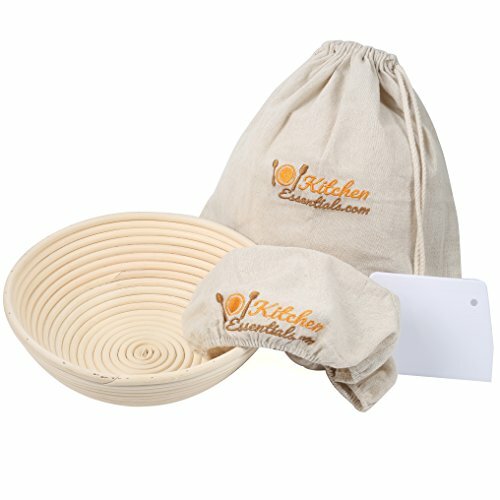 PREMIUM QUALITY BREAD PROOFING KIT - 101KitchenEssentials' wicker bread basket proofing baskets are made of 100% natural rattan cane. Definitely makes for a great gift for Moms, your spouse or other family members and loved ones! 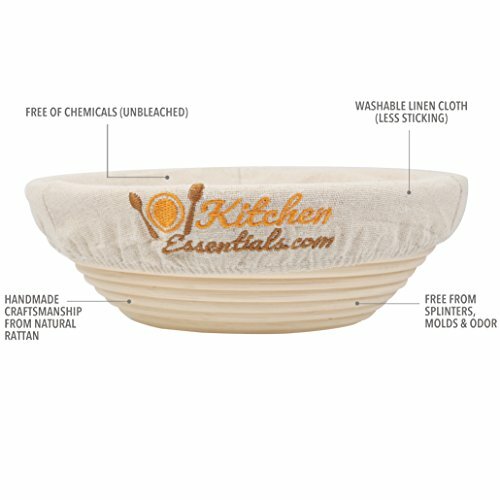 If you have any questions about this product by 101KitchenEssentials, contact us by completing and submitting the form below. If you are looking for a specif part number, please include it with your message.